ALS Association Wisconsin Chapter poster earns Platinum, logo for Snap-on Tools receives Gold. 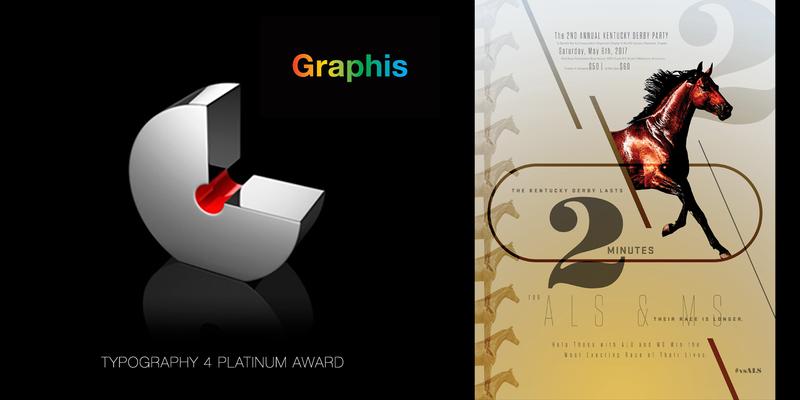 We’re excited to share that our team has received a Platinum Award in Graphis’ typography collection Typography 4: Type in Use. The winning work, “2 Minutes” for ALS Association Wisconsin Chapter, was one of nine Platinum awards among nearly 400 international winners included in this collection. “2 Minutes” also received a Platinum from Graphis in the Advertising Annual 2018 from a separate panel of judges. 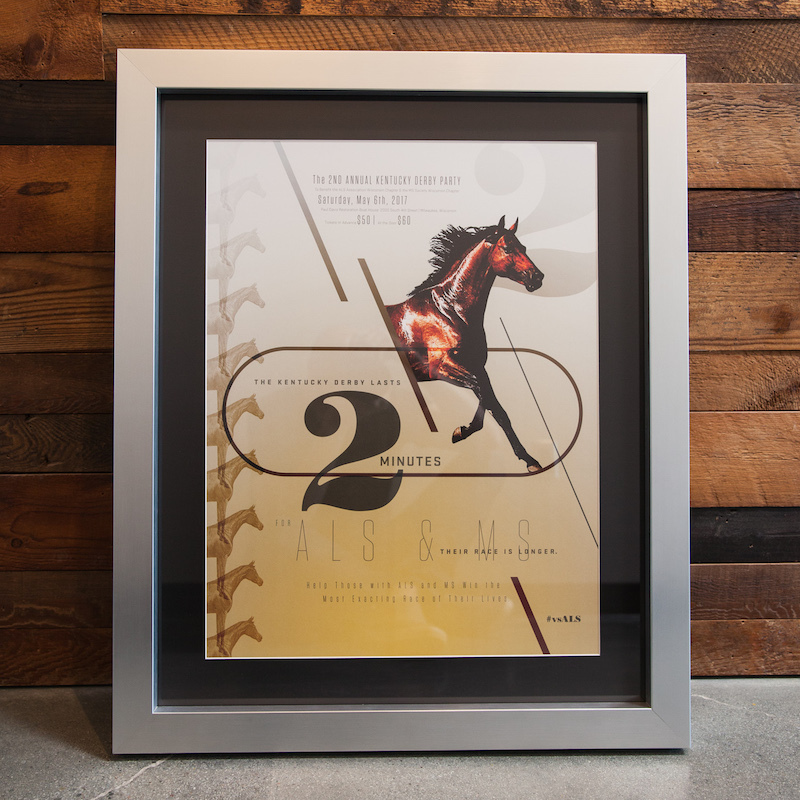 The poster, designed by Executive Creative Director Peter Bell, features typography that reflects the movement of the Kentucky Derby while delivering the insight that ALS patients are in a race for their lives. 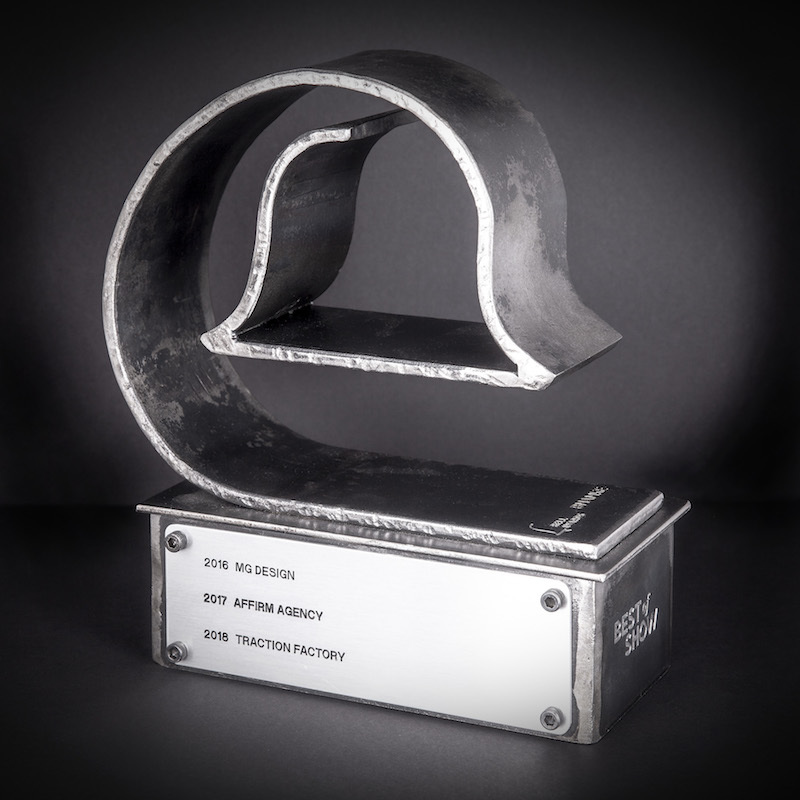 In addition to the Platinum recognition, Traction Factory received a Gold Award for the “Shine” logo for Snap-on Tools. Designed by Senior Design Director David Brown, the logo was created for the 2016 Snap-on Franchisee Conference, an annual three-day event that brings together more than 8,000 guests from around the world. The logo served as the anchor of an integrated brand experience that included event promotion, hotel and convention center branding and promotional product signage throughout a 140,000 sq. ft. trade show floor. “Shine,” a nod to the chromed tools Snap-on produces, was chosen to encourage franchisees to push their personal limits and achieve greatness in sales, earnings and personal satisfaction. Traction Factory was also awarded a Silver for the “Walk To Defeat” poster for ALS Association Wisconsin Chapter (Brent Goral, Senior Art Director) and a Merit for the “Organika Packaging” for Lakefront Brewery (Mark Brautigam, Senior Art Director). This is the third consecutive Graphis collection to include Traction Factory’s work – an achievement of which we could not be more proud. Congratulations to our team and our clients for partnering to create work worthy of recognition. 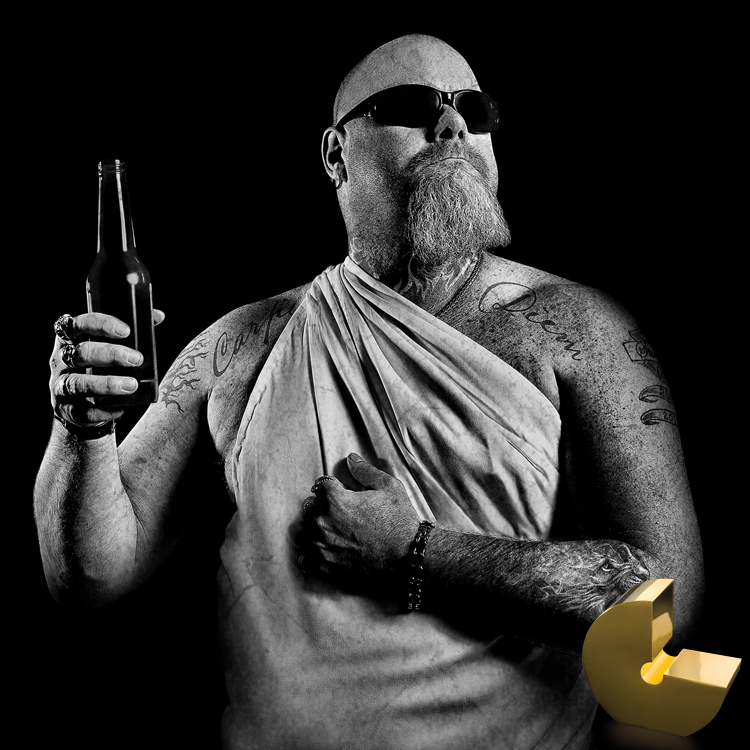 Second consecutive Photography Gold for client event. 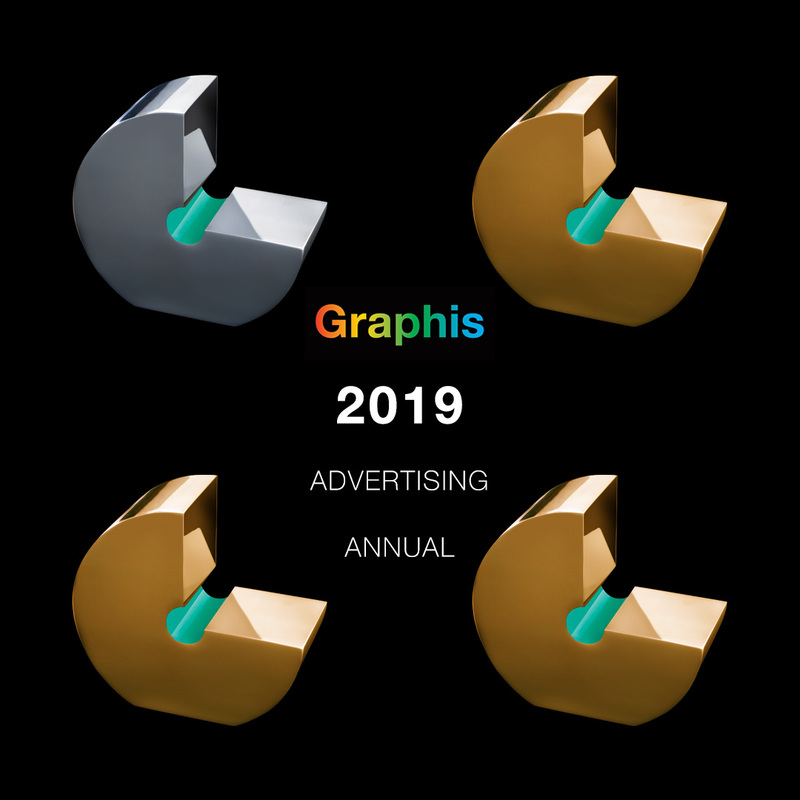 Traction Factory wins a Platinum and three Gold awards in Graphis’ Advertising 2019 annual. 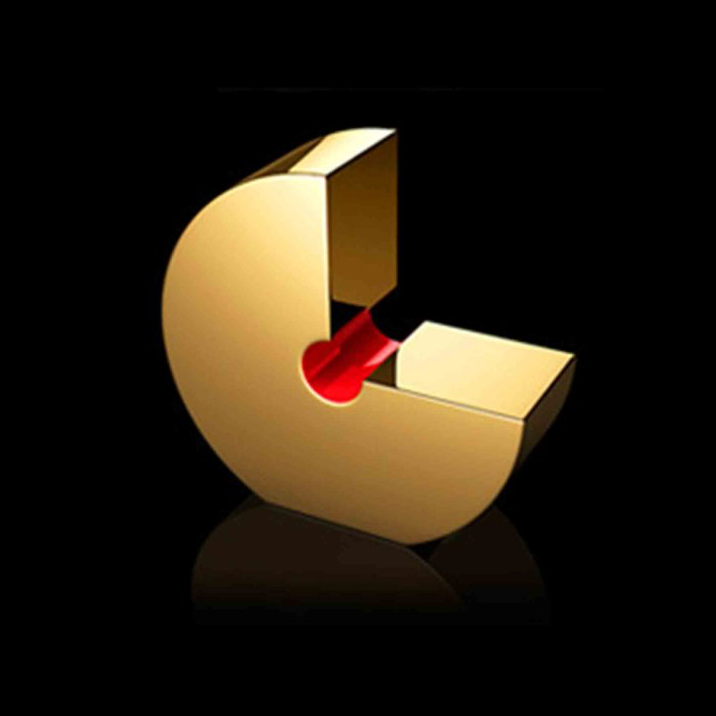 Branding work for Snap-on Tools earns its second Gold Award in Graphis’ Branding 7 collection. Poster for ALS Association Wisconsin wins a record-breaking fourth Platinum Award. 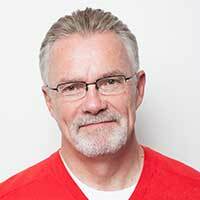 Traction Factory and clients receive 13 awards at BMA Milwaukee’s annual show.